Need a quilt top finished and you don't have a big machine to do it on? 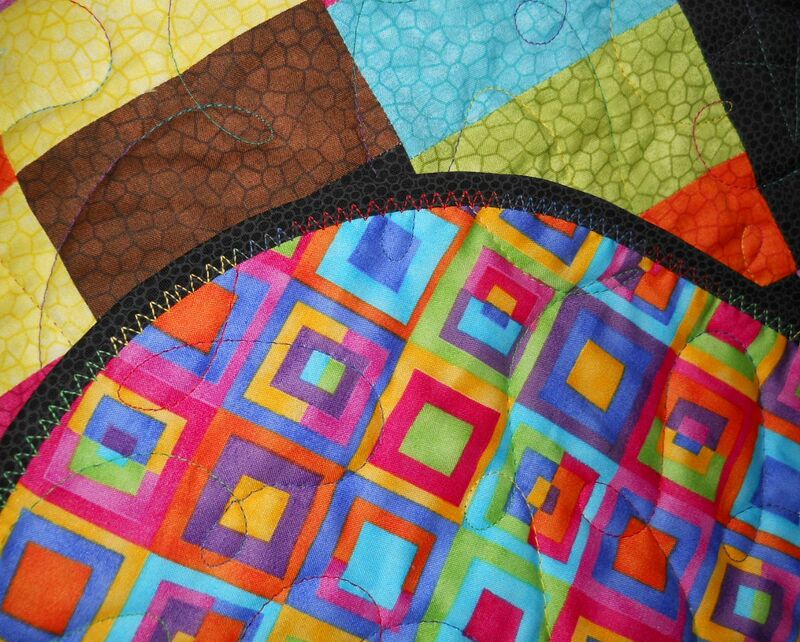 want to give as a completed quilt as a gift? If you want to get it complete and want just a simple design like show a puzzle loop, give me a call...I have a few openings, call or email for appointment. In addition to quilting we also do BIAS binding $2.50 per foot. This binding is sewn on by machine and the corners are all rounded. Queen size QUILT ABOVE had a BIAS binding edge service. OR French fold bindings $4.50 per foot, this type of binding is sewn on by the machine and then flipped to the back and hand sewn down. We do not use the per inch calculations, that is too much work, we use a chart so where ever you size top falls, that is the cost according for quilting. Thread color is your option for top and bottom, I will also make a recommendation if you are not sure. We have many solids and variegated colors. If you wanted to put a Label on your project and are not sure what to do, that can also be done for you. $5.00 extra. Measure your quilt top, then look at chart see where you size top fits, that is the cost for quilting. Batting I offer are Warm-N-Natural Cotton and The Warm Company Soft-N-Brite 4oz polyester. Prices vary according to size. Have a quilt top and don't know how to machine quilt it? I will help finish it for you. Package your quilt top, batting and backing together (and if you need binding done send a yard of fabric for that) all unused fabrics are returned with completed quilt. Press top AND clip ALL threads. Batting and Backing need to be 4" on all sides LARGER than top. If you do not have backing or batting just send top. 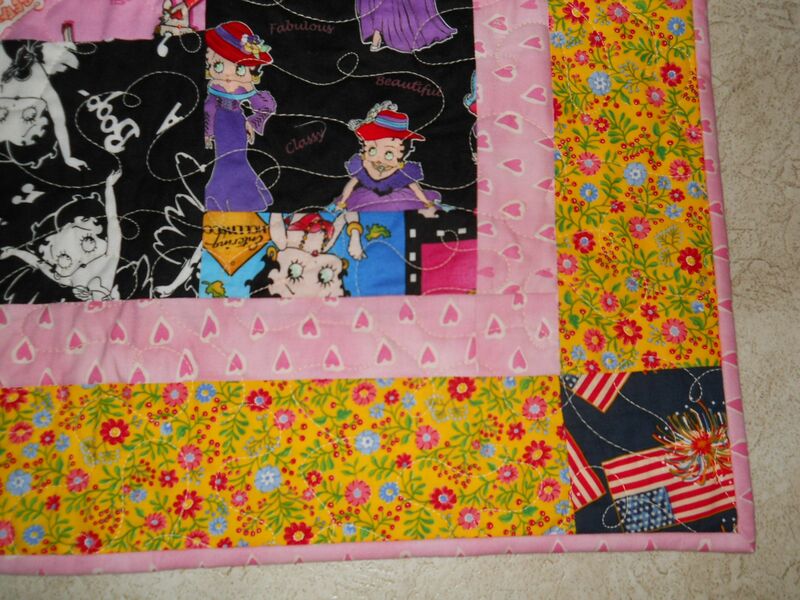 I can add coordinating fabric & batting and email a price for backing & batting. Things you need to know before sending. All seams need to be secure NO GAPPING holes. Quilt top & backing are mounted on a 12 ft table the edges MUST be straight, I cannot mount wavy or scalloped edges (like a double wedding ring) unless, if you have a double wedding ring and can baste fabric so edges are straight, that can be done, edges must be straight. Shipping both ways is your responsibility. Most tops can fit into a USPS flat rate priority envelope, for shipping back I will ship FED EX Home Delivery for larger, smaller will go USPS.